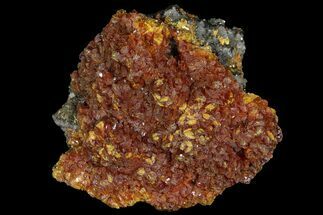 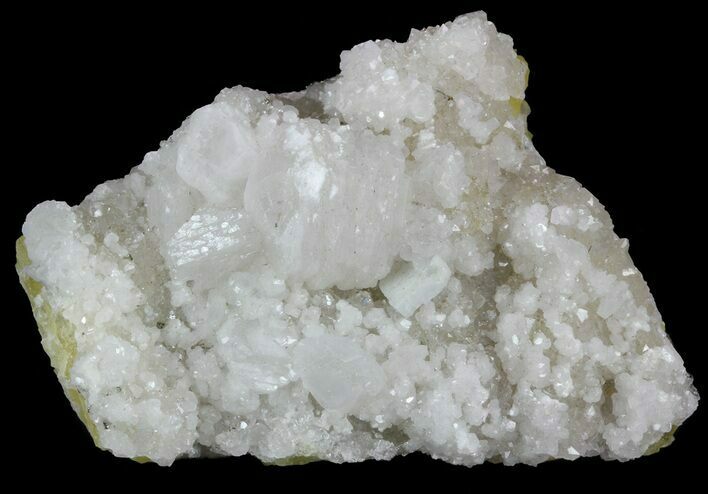 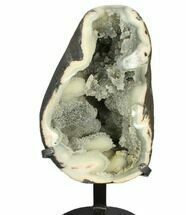 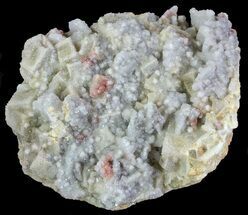 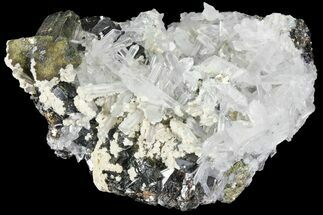 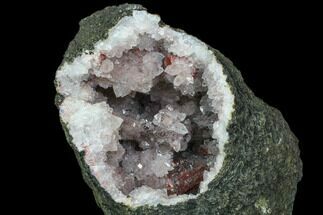 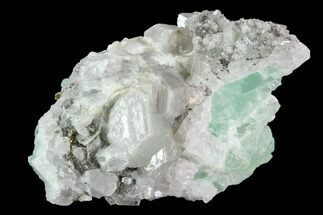 This specimen contains calcite, quartz and fluorite with pyrite micro-crystals. 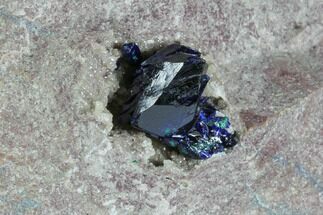 The fluorite can be viewed when looking at what could be considered the bottom of the specimen, noted by its yellow hue, typical to specimens out of this area. 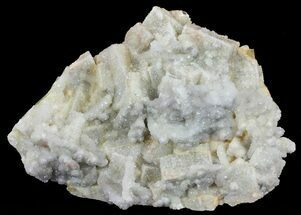 Calcite crystals can be found across the top of the specimen. 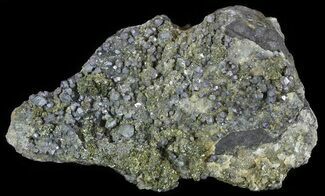 The pyrite is located in small cavities between the quartz crystals.